How a Jew, an atheist, a Christian and a humanist saved this refugee. High on an Ethiopian plateau nestled the village of Kiramu. My home. Governed by a chieftain, this small thatch hut community hosted a Saturday market, had a flourmill, a weaver, and my best friend. Ethiopia raised me. Her culture taught me joy, family, the respect of the elderly, the richness of history, and offered safety. It was to these people I fled when being harmed at home. It is my African tribe I credit for stability as I sought to navigate my American tribe. Villages exist within a culture and tribe. There are customs inherent within them. My American village was a conservative Christian group with a membership of less than 1% of Christians in the USA, a tribe within the nation of American Christianity. Its customs were strictly governed by their interpretation of the Bible. The God of my childhood came in triplicate: God the Father, Jesus the Son, and the Holy Spirit. I accepted my tribal training, and did my level best to be the kind of person Jesus would want me to be. And it wasn’t that I didn’t believe enough. Or love enough. Or that I failed to live a Christ centered life, because to the best of my ability I did just that. But, I learned early on that God doesn’t intervene. If he had, my sister Michelle wouldn’t have given birth to Dad’s baby. None of us five sisters would have been molested. If, as I was taught, the rain falls on the just and the unjust, it wasn’t God’s fault our life was the way it was, anymore than it was mine. Right? Dad did it. That intervening God — the one you consult for choices, or ask for something outside of one’s own sphere of influence, or get personal with? Pragmatically, I did not experience that God. Every time I speak, I am asked, in one form or other during the Q. & A., about my relationship to God now. Let me ask some questions, then try to answer. What happens when a cultural or spiritual hierarchy breaks down? What safeguards are in place for those who are harmed? Is there sanctuary? To whom does one go? And what about the tribe that bands together to safeguard their image? The tribe willing to sacrifice an innocent? Enter the Pack mentality, where the whole is greater than the sum of its parts. 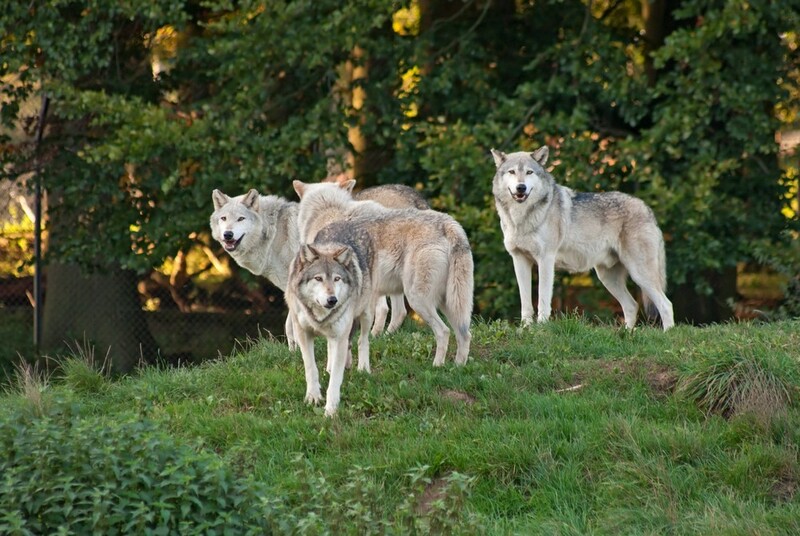 For the Pack’s survival, the whole is to be protected at all costs, and collateral damage is an unfortunate byproduct. Step outside the tribe and retribution is swift and cruel. In my family’s case, despite disclosure, those in authority protected my father, and we children were simply expendable. Later, when I blew the whistle on my child-molesting dad, I was outcast, my reputation impugned irrevocably within that tribe. Despite incontrovertible evidence of our abuse as I narrated in The Fifth Sister, to have stepped outside the Pack remains unforgivable to most of them to this day. As an outcast, I found it ironic that a Jew, an atheist, a Christian and a secular humanist befriended me. These four joined forces to take this refugee to safety within another tribe. Four people stood shoulder to shoulder with me for truth. A pretty thin line of defense against the Pack. Don’t get me wrong. I knew I’d broken the Pack’s rules. Yet I never believed I wasn’t worthy of being loved, of being part of a village, of being held up by those stronger than I was at the time; and my beloved children certainly deserved a better tribe. So what did happen to my belief? I found comfort in the vastness of the universe: the sky, the sun that rose in the east, and set in the west every single day. I gazed at the night sky brilliant with stars, and marveled that I existed within it. The laws of nature steadied me. The humanist in me gained footing; people acting in ways that affirmed the goodness of one another, leading ethical lives, aiming for the greater good of humanity? I’ll take it, over the tribe of my youth. I embraced the kindness of strangers, awed that it was offered to me. I learned to appreciate the genetics that gave me a good mind. And please don’t suggest everything happens for a reason. Bad things happen to good people. It’s what we do about what happens to us that matters. So, was it God that got me through? God-given grit? God-given determination? God-given Mama Bear instincts? I’ve been criticized that, for a Christian, I sure don’t give God much credit. And to be fair, I didn’t call on God during the years at war for the safety of my children. I was angry with myself for wasting time on a belief system that produced my parents, those who supported them, and the man I married. Let me ask you this: How could I teach my children to pray to the same God their granddad did when this highly respected man of God, sought to harm them? Or that their father, another pastor and man of God, placed them in a predator’s hands? Or that their church denounced their mother? Or that their father regularly read scripture aloud to them to show them what a sinner their mother was, until a judge ordered him to stop, citing alienation of affection. How could I describe a loving God, an all-powerful one, but one who couldn’t, or wouldn’t, answer my two precious children’s prayers that their pain would stop? That they might feel safe. Instead, I looked for ways to empower their sense of powerlessness inside a legal system less dedicated to children than the law. To show them the kindnesses of caring people. To read them books that had children save the day. To play in childlike ways with them. To show them the exquisite wonder of nature and its beauty. To put good people around them. I became more and more spiritual — maybe even a mystic. My faith strengthened in unexpected ways. I believe connection — heart connection happens. It can happen sitting in a room with someone; or being a continent away; it can awaken one in the dead of night when one soul reaches out to another in anguish. I could think of a sister, and she would phone. But the God of my childhood? That God is too small. I may be a bit unconventional, but I am peaceful, at one, undergirded, surrounded, upheld and fulfilled by my amalgam of faith. For me the Pack has been diminished, weakened by truth. It’s smaller now. But I also live in another village amongst a different tribe. One that is dedicated to truth; offers a safe harbor in which to heal; seeks greater knowledge and understanding; is encompassing and affirming, can agree to disagree; and loves with a huge heart. I am forever grateful.